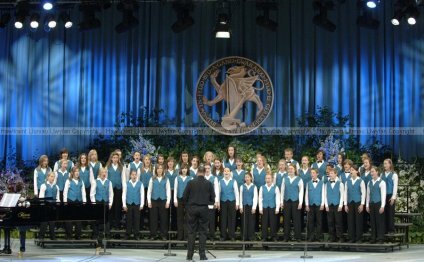 Holy Trinity believes that teaching children and youth to sing enriches their faith in powerful and lasting ways. Placing songs in their hearts and offering them regular opportunities to help lead our community in singing Psalms and hymnody – both old and new – strengthens their sense of belonging and worth in God’s kingdom. We have a Children’s Choir for grades 1-6 and our youth ensemble, Cantate!, is for singers in grades 7-9. In addition to singing, there is a handbell ensemble which is open to both high school youth and adults. Ann Schrooten has been directing Children’s and Youth Music at Holy Trinity since 1996. She also is on the artistic staff with Angelica Cantanti Youth Choirs in Bloomington and sings professionally with VocalEssence. Ann holds a Bachelor of Music degree in Vocal Performance from Saint Olaf College and a Masters degree in Choral Conducting from the University of Minnesota. Though she has held interim appointments with the University of Wisconsin in LaCrosse and the University of St. Thomas in Saint Paul, her first passion is making music with children. Ann resides in St. Paul with her spouse and their son.